What is growing organically? It depends upon who you talk to. The simple answer is, that organic gardeners only use animal or vegetable fertilizers rather than synthetics. It also means natural pest control devoid of industrial insecticides. In other words, using natural substances and beneficial insects to ward off pests. It is a philosophy that stresses increasing the natural health of the soil, choosing appropriate plants that are suited to your area, and working with nature to produce a healthy and productive garden. 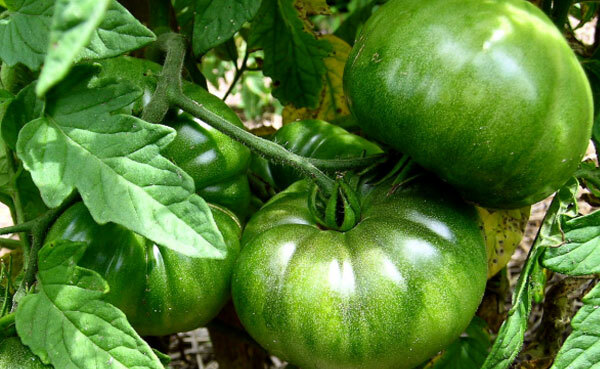 Organic gardening differs from “conventional” gardening mainly in the areas of fertilization and pest control. The organic gardener prefers to use natural and organic materials and methods, and avoids using practices and synthetic chemicals that may be detrimental to his health or environment. In order to this much attention is put on the soil you use, to maximize the most nutrients getting to your plants from the soil alone. A major basis for organic gardening is the use of abundant quantities of organic material applied to the soil. Usually, it is in the form of animal manures, plant manures, cover crops, compost, or mixed organic fertilizer. There are many benefits to Organic Gardening. Saving money by growing your own vegetables, being able to eat healthier and feel better and preserving our environment from the harmful and toxic chemicals that seep no only into our vegetables but our soil, oceans and waterways not only harming our environment but wildlife as well. Beginning and maintaining an Organic Vegetable Garden is simple and easy with a little knowledge.